I can’t wait to get old. I can fart in public, fall asleep wherever I am, take powerful prescription drugs, pretend I have bad hearing when I don’t feel like responding to people, ignore social norms, say completely inappropriate things, and refuse to drive anywhere because I’m old (I don’t do any of that now). Do I need help getting up the stairs? No. Is there anything prohibiting me from making it from the top to bottom or vice versa? No. Do I want it to enable pure and unadulterated laziness? Absolutely. Sidenote: this woman is tragically ungrateful for her stair chair. Get it together Grams. I saved the best for last, and yes: I have already requested this to my roommates as an addition for the new house we are moving into. I hate showering. Why do I hate showering? Because I’m 80, and I just want to sit down and have the showering happen around me. 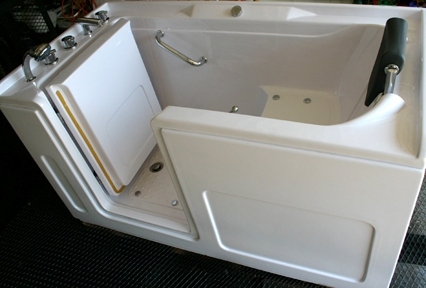 “For those people that have trouble sitting and standing, the walk in tub has a seat in it that relieve the strain of having to bend.” Is that the real appeal or is it the added foot bath and hydrotherapy? You may claim handicap Grandma, but I claim you “handi-can” enjoy a frothy brew from the seat of your shower while tiny jets simultaneously massage your “tired” feet. Most people are afraid to age, but I taunt age: bring it. Bring on the adult diapers, the bibs, the bifocals, the shoe horns, and Life Alert buttons galore. I will look nothing less than distinguished with my wheelchair, pipe, and monocle. 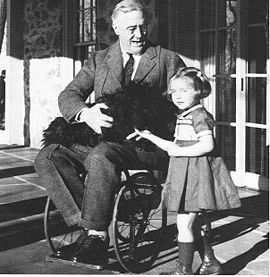 And perhaps slightly a little too much like Franklin Delano Roosevelt. Posted in Uncategorized.Tagged awesome, old people, rascal, scooter, senior citizens, shower seat, stair chair, walkin bathtub.